This is Part 4 in a four-part series on our arrival in Cape Town, South Africa. “I wonder if I can get up on the wall my myself now,” my daughter says, looking up at the wall she remembers sitting on with her dad when she was seven. She’ll be thirteen next month, but the wall is still several inches taller than she is. I watch as she backs up to get a running start. She makes a solid effort, but comes up short. I know her determination and am persuaded she will not give up after just one try. No, she will not give up until she succeeds. 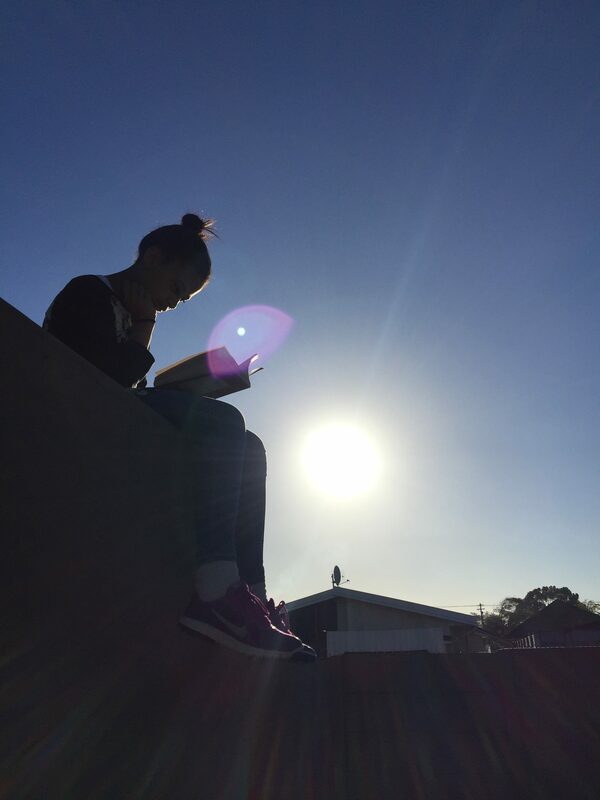 I come back later and see her proudly perched atop the wall, reading a book. Of course. “Did you do that all by yourself?” I ask. “Yup! I scraped my hand, though . . .” She hold out her open palm, but the wall has not scraped away her sense of accomplishment. The smell of cooked meat fills the kitchen now, and suddenly I’m hungry. The aroma of Ouma’s famous tamati gravy competes with the mutton simmering in the pot on the next burner. I watch as Ouma pulls seven plates from the cupboard and lines them up in two rows, and this single action takes me back. Growing up in the States, my mom used to place the food in the center of the table and we would lean in to scoop what we wanted onto our own plates, family style. 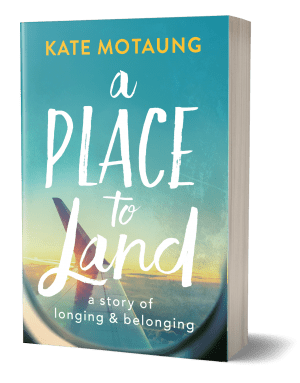 But here, Ouma sets the empty plates in rows, then carefully and thoughtfully dishes up for each individual, knowing exactly what they like and how much of it they will eat. It is an act of love. The kids are drawn into the house by the delicious smell and we carry our plates to the beautiful new dining set. It’s the first time I’ve ever eaten a meal in this home sitting at a table. For ten years, we used to take our plates to a chair and hold them in our laps. 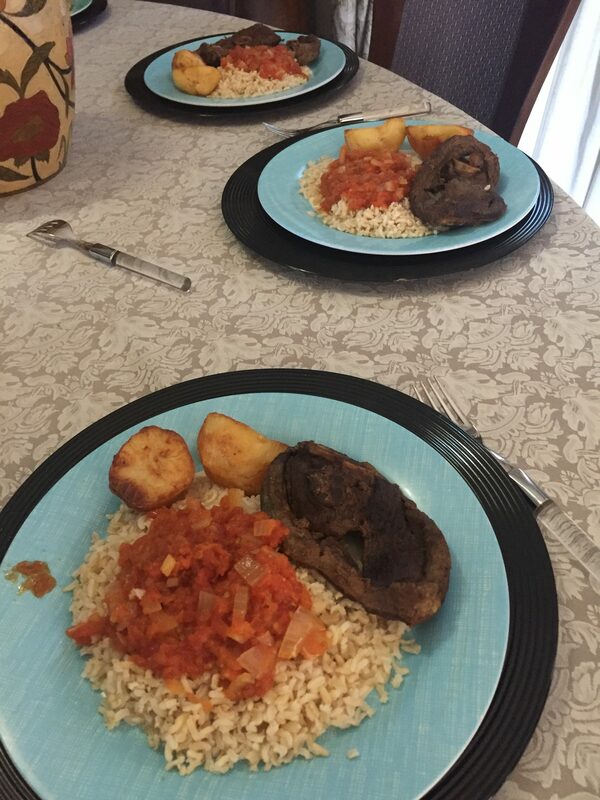 It was the same in nearly every other black South African home we visited, too—part of the culture. But now we sit around a table, seven of us in an unbroken oval, and we feast. “What do they eat?” my mother-in-law asks. “Chicken, cow, pig—” My list is interrupted. A couple of hours later Ouma calls us to gather around the table again. 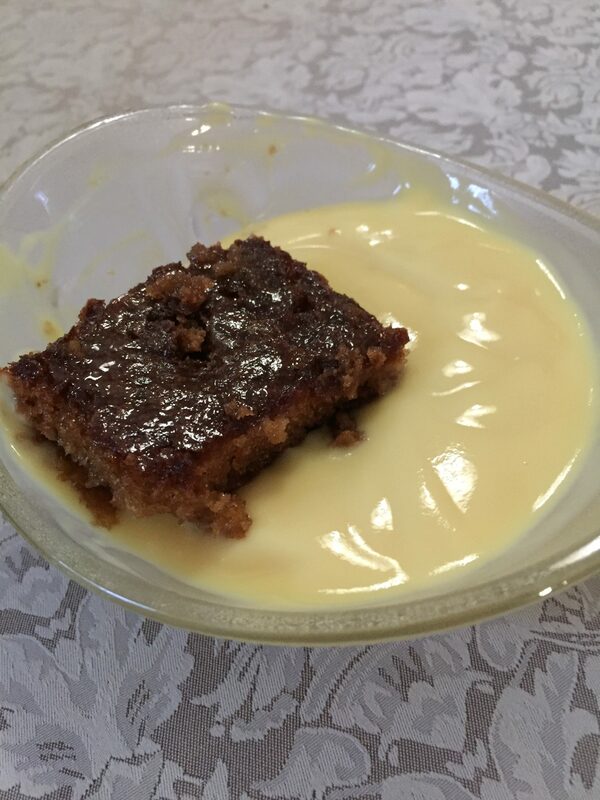 The kids gasp when they see the tall bowls of malva pudding surrounded by pools of custard. They eat to their heart’s content while Ouma eats up every moment of their presence in her house. At 7:50 I tell her she can put her pajamas on, and the rest of us follow close behind. It’s not even two o’clock in the afternoon in Michigan, but our bodies seem to have forgotten. What else will they forget while we are here? I am startled awake by a dream. After getting my bearings, a train passes by and keeps me awake. The dogs bark again. Now I have to pee. I get up, check the clock, and it’s only 11:15pm. “You have to go back to sleep,” I tell myself. I lay down but my eyes won’t close. An hour passes and I’m still awake so I let myself get out of bed. I sit at Ouma’s new table with a bowl of Bar One cereal with long life full cream milk from a box, and I write. loving this glimpses of home. THank you for sharing. Wow, that picture of your daughter is so magical. I thought she was holding a fan with a light in the midst of it. After part 3 I was saddened, its almost the ended. Your kidding me!!! Really Kate, and I write, forgive my brashness but there best be another chapter, series, something. You and your hangers sink into my stomach everytime. I write…. lol, now I want to know what. Im thinking book 2 with pictures. Your awesome and what makes it better is its real. Blessings, I hope to hear more. I have enjoyed reading these updates from Africa. I hope everything goes well and you can enjoy this time with family & friends. Your Mama would be so very proud of you. She pops up in my thoughts at random times and it makes me smile. I love the forlorn sound of a train but I’ve never tried to sleep with one regularly passing by. I’m sorry sleep illuded you…..but not really if you used that time to write! 😉 Keep writing! I’m hungry for more! Thank you for inviting us to sit around the table with you and your family. It is a special treat!